A versatile beautifying treament enriched with a complex for four precious oils. 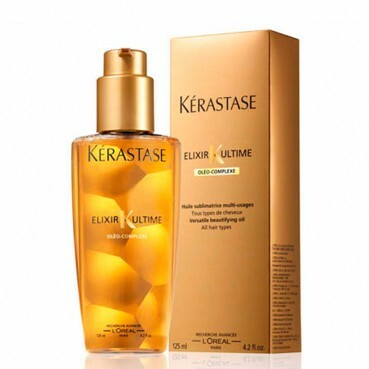 Maize, Argan, Camellia and Pracaxi oils combine to create a luxurious Elixir for all hair types.With a few drops of Elixir Ultime, hair is transformed into silky, weightless matter* Applied before cleansing, hair is instantly nourished and visibly regenerated. * Applied before styling, hair is incredibly supple and protected.